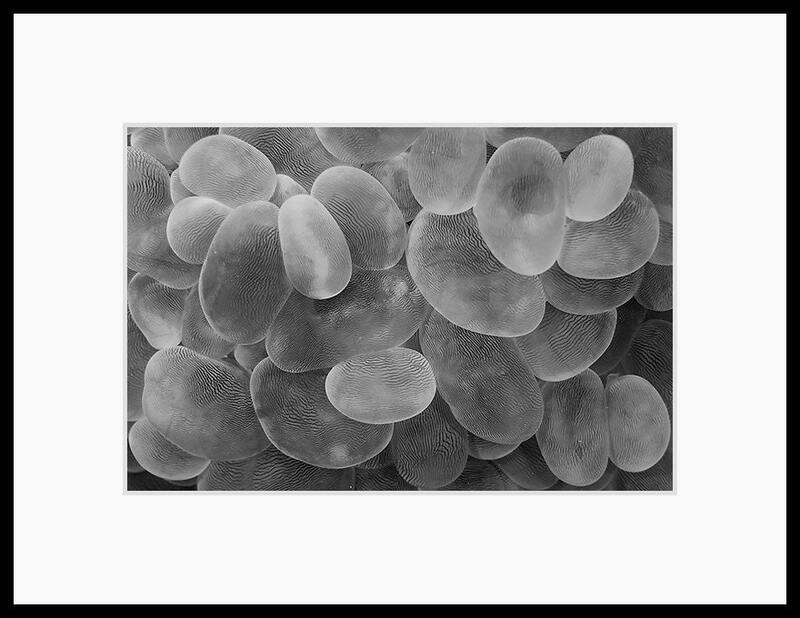 Black and white home decor underwater photography print of bubble coral that I photographed while scuba diving in Malaysia. 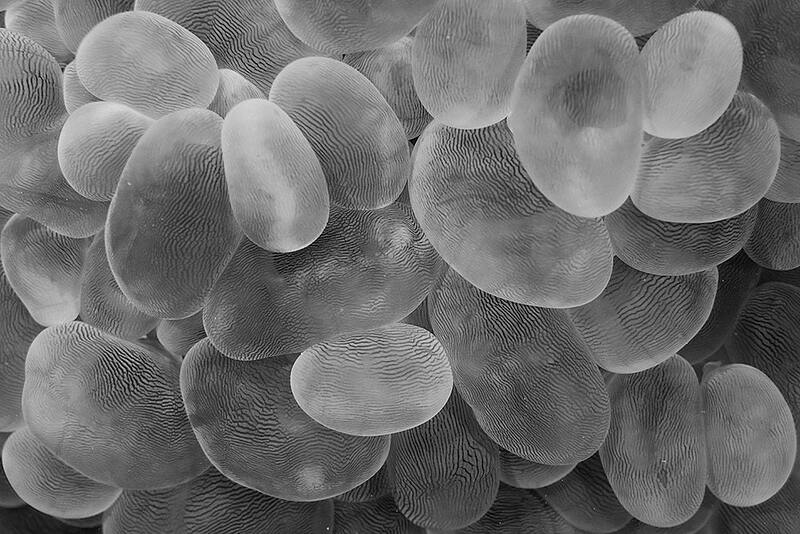 The inflated translucent bubbles have a interesting ripple pattern that looks like thumbprints. This black and white underwater photograph also looks amazing as a large format print and the abstract pattern will provoke many "what is that?" comments.